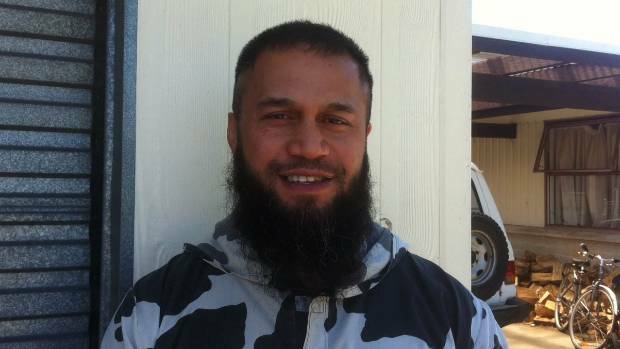 Kiwi Isis supporter Te Amorangi Kireka-Whaanga is under investigation after graphic video footage of sheep being slaughtered was posted on Facebook. (File photo). A Hawke’s Bay abattoir is investigating after a worker who is a known supporter of Isis posted graphic footage of sheep having their throats cut. The video footage showed a man laughing as a sheep was held down and slaughtered at Fresh Meat in Napier, NZME reported. Te Amorangi Kireka-Whaanga, who founded the Islamic State of Aotearoa in 2014, posted the video on Facebook, but it has since been removed. Fresh Meat manager Alistair Martin said Kireka-Whaanga had been employed by the company for about a year, and appeared to be a “tame, timid guy”. “I’m just pretty disappointed by the whole thing,” Martin said. Fresh Meat was aware of Kireka-Whaanga’s history when it employed him, but background checks had scrubbed up clean, he said. Martin believed he was no longer affiliated with the group. An investigation into the incident began on Tuesday, but Martin could not confirm whether the employee had been stood down. It is understood the Ministry for Primary Industries is also investigating.